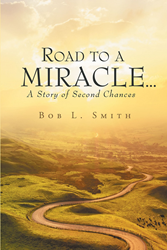 “Road to a Miracle…a Story of Second Chances” from Christian Faith Publishing author Bob L. Smith is a riveting story of Jim, a “mistake” whose life consists of a series of complicated ventures influenced by his unhealthy upbringing and environment. “Road to a Miracle…a Story of Second Chances”: an engrossing tale of success and overcoming struggles after experiencing one disappointment after another. “Road to a Miracle…a Story of Second Chances” is the creation of published author, Bob L. Smith, a dedicated writer, author, and businessman from Brenham, Texas. Published by Christian Faith Publishing, Bob L. Smith’s new book is a great tool for self-reflection and finding a new perspective in life’s journey, especially during difficult and near-futile circumstances. Follow Jim’s journey as a man determined to proceed further with his life, as he learns the ropes of being clever with his decisions in an attempt to prove his worth and achieve his goals. View a synopsis of “Road to a Miracle…a Story of Second Chances” on YouTube. Consumers can purchase “Road to a Miracle…a Story of Second Chances” at traditional brick & mortar bookstores, or online at Amazon.com, Apple iTunes store, Kobo, or Barnes and Noble. For additional information or inquiries about “Road to a Miracle…a Story of Second Chances”, contact the Christian Faith Publishing media department at 866-554-0919.